Brass plated iron chandelier used for lighting & decoration purposes. 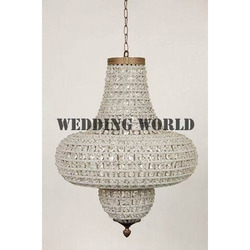 We manufactures and exports wide range of Chandeliers. Handcrafted By Expert Artisians Finished, Packed Through WellTrained Workers Under The Supervision of rich Experienced Team members. Contemporary chandeliers Iron Pendant. Size Dia 18 By 18 inch. 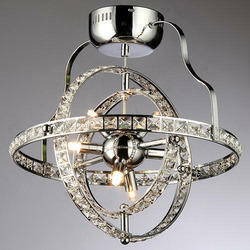 The Indoor Chandeliers are great for enhancing the décor of any room. The graceful Indoor Chandeliers of ours are highly applauded for their aesthetic beauty, unique style, perfect dimensions and high durability.